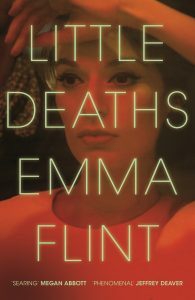 Welcome to Emma Flint, author of Little Deaths. Ruby asked me to write about the ten books that have influenced me most as a reader and as a writer. (I’ve listed them chronologically, in the order that I discovered them.) There’s a lot of overlap between the two because all writers love to read. Reading something I love inspires me to be a better writer. My relationship with murder began early: at twelve I was reading books about pathology and forensic science. 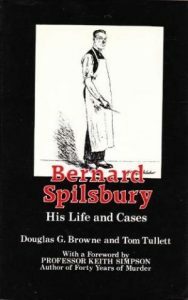 Keith Simpson’s autobiography and the classic biography of Bernard Spilsbury by Browne and Tullett were two of the first I came across. Spilsbury, with his neat slick hair, his unfailing politeness, and his ability to piece a case together from tiny fragments of bone, became my hero, and for a long time I wanted to become a pathologist myself. It seemed like detection of the purest and most practical kind: Sherlock Holmes himself would surely have been a pathologist as well as a psychologist, had he lived beyond the 1920s. However, when I realised I’d need three science A-levels to get onto a forensic science course and would have to drop English and history, I reluctantly abandoned the idea. 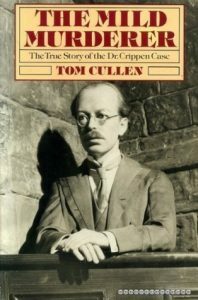 The next time I was in a bookshop, I passed over the pathology section and picked up a book about the Crippen case written by a journalist: The Mild Murderer by Tom Cullen. It gave me a whole new perspective on the crime: even though I knew the case, the book felt suspenseful and pacy, the characters rich and rounded. I was reading the story as though it was fiction. I realised then that my interest in true crime needn’t be confined to the scientific, that there could be a creative element to the retelling of these cases – although it was years before I put this into practice myself. I discovered Hemingway via his short stories when I was a teenager. For a couple of years I read nothing but Hemingway outside of school – and it was the simplicity of his prose and the light brush strokes of his characterisation that I tried to emulate when I first wrote my own short stories. I stumbled across The Garden of Eden when I was nineteen and studying at university. 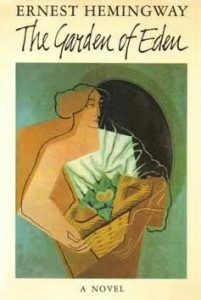 It’s Hemingway’s ninth novel, published posthumously in 1986, and it tells the story of a couple on their honeymoon in the south of France in the late 1920s. Over the course of the book, they go from being utterly happy to experiencing the breakdown of their marriage and the destruction of their relationship. From the first moment that I opened it, I was lost in the writing, in the wonderful character of Catherine Bourne and the glorious setting – and it’s still a book I return to over and over when I need a lesson in writing clear and simple prose. I also read The Secret History at university, when I was in my final year and starting to write more seriously. A friend lent me her copy, and I devoured it in an afternoon, probably while I was supposed to be finishing an essay. This was the book that made me realise that crime fiction could be literary, and that the question of why is as fascinating as the question of who. I can’t remember how or when I came across this book, but I can remember the first time I read it. I was twenty-two years old, living alone in a large cold flat in Edinburgh’s New Town. I remember that I woke up one Sunday morning to the first sunny day we’d had in months, and I decided to spend the day reading. I made a pot of coffee, settled down in a square of sunlight on the carpet, and opened the book. The next thing I knew, the coffee was cold and it was night outside my window. In Cold Blood crystallised the vague ideas I’d already formed about true crime being the source of some astonishing stories, and it taught me that fact and fiction do not need to be kept apart, but rather that both can be made richer by melding them. The first time I read this, I was on holiday in Cornwall with a group of friends. I was in my mid-twenties, I was going through a painful break-up, and I was miserable and bad-tempered and anti-social. 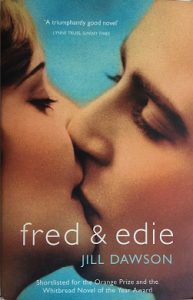 I think I bought Fred and Edie because I liked the cover, not because I had any idea it was a re-imagining of a real murder case. I stayed behind in our rented holiday cottage while the others went out for the day, and decided to sit in the garden and read. I opened the book with no expectations: within moments I was transported to early 1920s London and lost in someone else’s pain. I remember running back to my room to find my notebook so I could jot down the best lines, and so I could start writing again myself. By the time the others came back I was desperate to talk to them about this incredible book that had shaken me out of my funk, and about this horrible beautiful story that dealt with love and loss and guilt and terror. This is a book about Peter Sutcliffe, rather than about the Yorkshire Ripper. It’s written with remarkable insight into the very ordinary man behind the series of murders that shocked and terrorised the north of England between 1975 and 1981. Gordon Burn spent three years living in Sutcliffe’s home town, speaking to the people who knew him best, including his immediate family. Burn was a journalist, but he was also a social historian: he understood the importance of detail. The prose is beautiful and the dialogue vivid: you feel like you’re in the room listening to the conversations Burn had with Sutcliffe’s brothers and parents. The book resonated with me on several levels. Although I was very young at the time, and although I lived further north than Sutcliffe’s killing grounds, I remember the end of the Ripper investigations. I remember the grainy photographs of the victims, the serious-faced policemen on the news, and I remember teachers at school talking about how they were afraid to go out at night. I remember seeing Sutcliffe’s photograph at the time of his conviction, and thinking how normal he looked – like someone’s uncle. Or a husband. Or a son. This was the book that made me realise that the fascinating thing about evil is its ordinariness. If monsters looked like monsters, they’d be just another species. As it is, what interests me is the point where ordinary life co-exists with the business of murder. This book was the first to really make me understand that horrific crimes can happen anywhere and that murderers can look like anyone else. I found this book in a second-hand shop in London. Despite its size, I read it in a couple of sittings; despite knowing how the story would turn out, I stayed up all night to finish it. 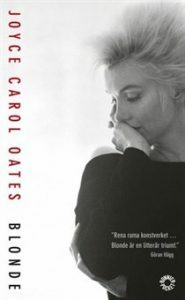 Blonde is a re-imagining of the life of Marilyn Monroe, written with depth and care in a wonderful hypnotic style. Reading it taught me that even the most well-known stories can be narrated and understood in new ways. It was the beginning of my fascination with notorious women, and sparked my interest in unpicking the individuals behind the headlines. When I’m asked to name my favourite novels, Fingersmith usually comes somewhere in the top three. 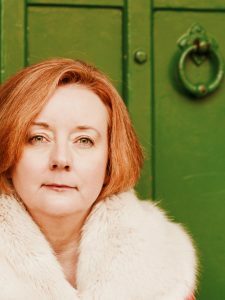 Sarah Waters writes with Dickensian richness about Victorian London and the den of thieves in which one of her main characters is brought up. The writing is sumptuous and gorgeous, the historical detail unobtrusive, and the plot dense and horrible, with both heroines in constant danger, exposed through wonderful unexpected twists all the way to the final page. I bought this as soon as it came out in 2009. 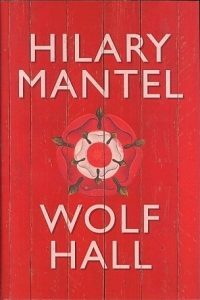 I had read several of Hilary Mantel’s other books and enjoyed them, but I was more interested in this as a re-imagining of Tudor history than anything else. Within one paragraph I understood that I was going to love Wolf Hall, not just because of the period or the setting, but because the writing is phenomenal. That first paragraph is one I return to again and again, because it’s so visceral and immediate. You can hear the smack of Cromwell’s skull on the cobbles of the yard and feel the blood trickling across his face; you can see the stitching of his father’s boot, and feel the wiry knot that has split his eyebrow. When writing seems impossibly difficult, or when I’ve lost sight of who my characters are, this is the book that inspires me to keep going. 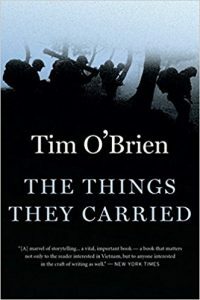 The Things They Carried is a collection of linked short stories about a platoon of American soldiers in the Vietnam War. Each character carries something that relates to his role in the platoon, something that reflects his personality, and something that shows what the war has made him become. It’s a profoundly moving study of the impact of war on individuals, but it’s also a masterclass in characterisation and in showing not telling. When I started reading this, I’d spent almost six years writing Little Deaths and I was confident in my ability to write. By the time I finished it, I understood that I still have a hell of a lot to learn.